Edge computing, colocation, cloud and IT staffing issues lead the way as industry analysts make their predictions for the future of data centers into 2018 and beyond. When it comes to future data center trends, what does the magic eight ball say? After a quick shake and a few responses of Ask again later, the outlook on data centers for the future delves into some mixed responses. Future data center trends include the edge, cloud, colocation and changing IT roles. Find out how these will affect IT pros. 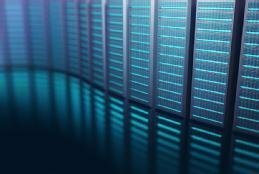 Aging infrastructures in traditional setups may get the job done now, but the push for more workload optimization requires more compute power than ever before. IT teams need a different approach that modernizes their data center assets either on premises or in a colocation or cloud. "IT many times is stuck in a tough spot," said Jennifer Cooke, a research director at IDC. "They need to protect company data, ensure security, and also ensure that regulatory and compliance needs are met. But the business, on the other hand, is trying to innovate, trying to make more money -- and is using IT resources to do this." To combat this business requirement, organizations turn to as-a-service models to handle their assets, instead of the silo and server approach, Cooke said. Cloud availability and efficiency have dramatically altered the way business leaders view bottom-line performance, and IT is playing catch-up to stay competitive. "IT is now asked to operate and build in a more service-oriented way," Cooke said. "Organizations are really challenged to modernize those existing facilities or deploy new data centers altogether." In addition to as-a-service models, an uptick in automation and other intelligent equipment in the data center will generate more performance monitoring and predictive and performative maintenance. If an organization can keep its current infrastructure working smoothly, it can investigate new options to increase efficiency and establish a better product for the business and end users alike. "The ability to gather and analyze real-time data from the critical infrastructure will really be table stakes from here on out -- especially in a much more distributed and diverse data center ecosystem," Cooke said. "The ability to see what's going on in all locations around the globe at any time is another table stakes in providing agile IT service." Data center deployments in the cloud and colocations can offer businesses some benefits. Eliminating an on-premises data center saves time, money and space. Those upfront costs don't necessarily cover potential damage suffered from a colocation or cloud outage, however. Resiliency is another future data center trend that takes a page out of the disaster recovery playbook, meaning IT has to look back to its data security protocols before moving forward to create enterprise agility. Cloud and colocation play a major role in the resiliency field, as organizations use one or both to spread data across multiple outlets and increase protection in the event of an outage, said Andy Lawrence, an executive director of research at the Uptime Institute LLC. It can often be complicated to manage data across multiple platforms, but a distributed approach prevents a major crash from knocking out an entire organization in one instance. Service-level agreements don't offer a lot of help in this area either, said Lee Kirby, president of the Uptime Institute. Many IT pros view contract jargon as a safety net in the event of an outage, but how a vendor plans to protect data and the methods they use to do so aren't always readily available. "The industry as a whole needs to be more transparent in order for you to understand if you're more or less resilient with the path that you've taken," Kirby said. "There's a lot more work to do in this area because there is so much lack of transparency in the supply chain." Back away from the edge? The movement of data away from the silo setup to the edge requires IT agility and coordination. The IT team should investigate any compliance or regulatory rules that could come into play with the location of data storage. The edge remains a future data center trend because it pushes data closer to its end users and enables IT pros to implement newer technologies, such as artificial intelligence and the internet of things (IoT), which take advantage of higher processing features. "These new workloads, these broad trends, they're redefining what the edge means and what edge data center capacity is," said Rhonda Ascierto, a research director at 451 Research. IoT gateways are expected to play a major role in the edge because they can take the edge data and connect it to other networks and data centers, while also monitoring the entire process and handling storage and compute concerns. Remote management is also a major turning point, Cooke said. IT pros will not only need to build out applications and services that control data in the edge -- they'll also need to build out support and monitoring mechanisms. IT pros should focus on real-time data analysis and resource control when they choose an edge vendor, and they should find a provider that matches their on-premises systems as closely as possible. In many cases, IT staff isn't getting any younger. As a result, another future data center trend is a skills gap that could hamper future enterprise development. Finding an IT generalist, however, isn't always easy. Professionals with those skills are often scooped up by larger organizations or service providers, Ascierto said. And once these individuals move, the skills gap widens, and an organization is stuck looking for a stopgap instead of a replacement. But if an organization can't find those options in house, it's important to expand outside of the normal realm for potential hires. "Start looking at diversifying your resource pool," Kirby said. "You have to look at your HR strategies, your processes for recruiting and retaining. Everything has to change." What are your biggest concerns for the future of your data center? Data center design and management now goes beyond servers and networking cables. Defining budget and IT goals helps set an effective roadmap for data center architecture. Discover four factors data center managers should evaluate when allocating financial resources and areas to address to ensure funding requests meet execs' business goals. Organizations looking to the cloud to update their data center should consider the future development of systems management providers when selecting a cloud computing deployment model.